Next Friday, 1st March, we will hold a performance event at Naked Lunch as part of our current exhibition, Presence. 7:30 - 10:30PM. Entry is free. A progressive folk duo with jazz influences. With a reading linked to her current visual work. Rousing acoustic originals from Not Just's long-term collaborator. "Eleanor Rees’s visionary poetry immerses you in another world from which you leave transformed. A hypnotic reader, her poems beguile you with sound patterns and vivid imagery. Folklore, myth and metamorphoses are recurrent themes. She is a distinctive and admired voice in contemporary poetry." "If you are looking for pitch perfect vocals metronome drums or guitars that don't make weird noises you may be in the wrong place." Our first exhibition of 2019 opens on 14th February at Naked Lunch Cafe, Smithdown Road, Liverpool. Exhibiting in this informal cafe setting is something a bit new for us, and we look forward to welcoming a new audience over a cup of coffee or a leisurely breakfast. A performance event will take place on 1st March, featuring music and spoken word. We will share further details about this nearer the time. 2018 has been a wonderful year for us. We began with our most ambitious show to date, took part in the Liverpool Independents Biennial, had a three-month outdoor exhibition, held two festivals and hosted a resilience picnic! We want to say a huge thank you to everyone who helped make this happen and came to see our shows. Plans for 2019 are already well underway. We begin with something that is perhaps a little different to what we usually do - details to follow soon. Looking further ahead, we are very excited to say that we will be taking part in Light Night at a major city centre venue - expect some pretty special performances around this year's theme of 'Ritual'. From all of us who make up Not Just, to all of you - whatever you celebrate, if you don't celebrate at all, if you're enjoying a well-earned break or you're working right through, we wish you all the very best for the festive season, and we'll see you soon. Sunday 21st October saw the last of this year's events from Not Just. We linked our two current exhibitions with a costumed 'ritual' procession (using the powers of the 82 bus - we like to be accessible). We arrived at the Fulwood Gardens for an afternoon of music, storytelling, poetry and art. Despite the cold weather, we very much enjoyed spending time with all of the artists, some who have performed with us before, and others who were new to us. 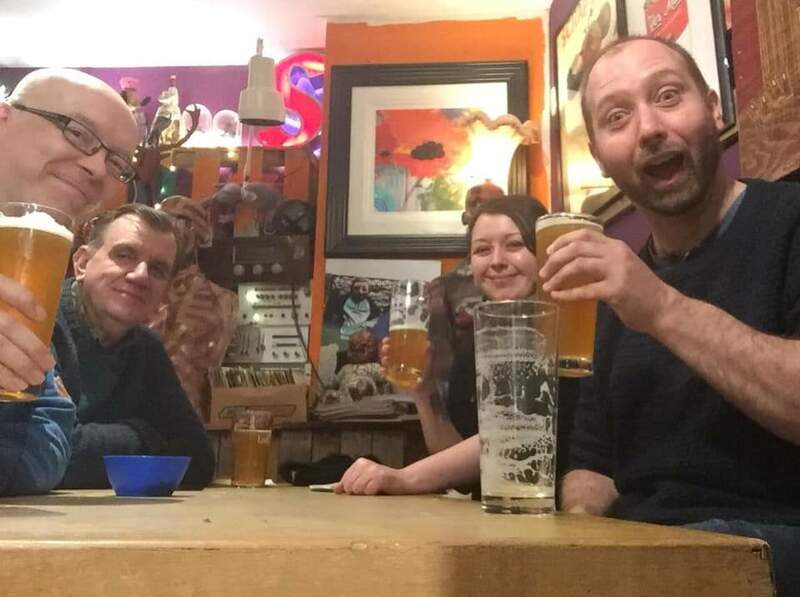 Eleanor Rees closed the show with a poem as the sun went down and candles flickered, and then of course we had an essential de-brief in the local Fulwood Arms! Take a look at our Fulwood gallery for lots more photos. Discussion - Where the Veil is Thin - Sunday 7th October, 3PM. Not Just Collective would like to welcome you to an informal discussion around the work in our current exhibition, and themes related to it. This exhibition, running between the weekend of the Autumnal Equinox (22nd/23rd September) to the 27th October (near Halloween/Samhain/All Saints' Day), is titled Where the Veil is Thin, referring to the idea that at this time of year, the boundaries between worlds are more easily breached. Whether magickal practitioner, observer or atheist, this concept is undeniably part of our history and our popular culture. As the skies darken and the nights grow long, we are wont to wonder on what may go unnoticed in the shadows. As modern city-dwellers we do not gather an agricultural harvest, but we may take stock of the year and prepare for things to come. It seems that 'ritual' has had something of a resurgence in public consciousness. Both the BBC and Channel Four have shown recent series on the subject. Perhaps in a society where many of us feel less bound to traditional (Capitalist?) rites of passage - get married, get a house, have children - or at least, those rites of passage may not occur in traditional order, we look to find new meaning in old symbols. But where, in a world of climate change, where one UK season could be barely distinguishable from another, do seasonal celebrations fit in? Can we celebrate harvest-time when so many in our own country and others face food insecurity, poverty or starvation? Please feel free to bring along books or other materials you feel are relevant to the subjects. There are also many other artists exhibiting in George Henry Lee's as part of the Independents Liverpool Biennial. PLEASE NOTE: This is the final day of the Giants' visit to Liverpool, so the city centre may be busy - please allow more time for travel. Entrance to the building is on Houghton Street, near the Radio City Tower. An afternoon opening is not something we're used to, but we very much enjoyed welcoming visitors to our latest exhibition, at George Henry Lee's. The show was launched with a performance by Nicola Roscoe-Calvert (featuring music by Kogumaza). We now continue through to the 27th October, open every day except Tuesdays, 11AM - 6PM. There are also lots of other artists exhibiting there as part of the Independents Liverpool Biennial. See more photos in the exhibition gallery. Our exhibition Where the Veil is Thin has been moved to the former George Henry Lee's building (entrance on Houghton Street, near the Radio City Tower). The opening event will run from 2 - 5PM as planned. The exhibition will then be open until 27th October, 11AM - 6PM (closed Tuesdays). See further details below. Concerning ritual, seasonality and the unknown. Not Just Collective welcomes you to the opening of our new exhibition as part of the Independents Biennial. Drawing on traditional customs while looking towards an uncertain future, what are our modern rituals? What do they mean for us as individuals, and for society local and global? How do we create meaning through secularism or religious syncretism? Not Just Collective is a group of creative practitioners based mainly in Merseyside, with some participants further afield. The group was originally formed by Liverpool Biennial volunteers in 2012, though membership has evolved over the years so that most of the present group have no Biennial connection. We also regularly invite other artists to exhibit with us. Our first exhibition was held in Domino Gallery in 2013, and since then we have held a series of exhibitions in galleries and non-traditional spaces throughout the region. Some of our more unusual venues include the Williamson Tunnels, a terraced house in Toxteth, and a community garden space in Aigburth, in which we are currently exhibiting work that responds to the environment, and will survive or succumb to the elements over time. 2018 has been our busiest year, beginning with an exhibition at the Tapestry entitled Thresholds: The Adjacent Possible. This show featured Liverpool based artists alongside those from across the UK, Europe, Asia and the USA. Building upon this success, we worked with local Councillors to secure our residency in Aigburth's Fulwood Community Gardens. The residency was launched with a festival of music, poetry, storytelling and art, with local creative businesses selling handmade items, and arts activities for visitors to try. A second event at the gardens was held recently, with an expanded collection of installed works. 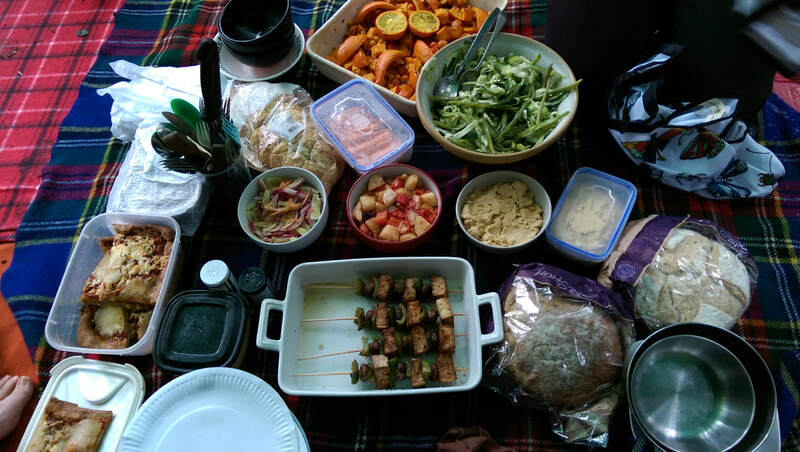 Our 'Resilience Picnic' marked the international "Rise For Climate" day on 8th September (https://riseforclimate.org/), and we welcomed the public with a food share, poetry, singing and environmentally-focused discussion. We have one further event planned at the gardens, on 21st October. This event featuring mainly spoken-word performance will mark the end of the year's activities, and will link the Fulwood residency with the exhibition at George Henry Lee’s. It seems that 'ritual' has made a resurgence in public consciousness. Both the BBC and Channel Four have current or recent series on the subject, and Light Night Liverpool have just announced that Ritual will be the theme for their 2019 events. Perhaps in a society where many of us feel less bound to traditional (capitalist?) rites of passage - get married, get a house, have some kids - or at least, those rites of passage may not occur in traditional order, we look to find new meaning in old symbols. But where, in a world of climate change, where one UK season could be barely distinguishable from another, do seasonal celebrations fit in? Can we celebrate harvest-time when so many in our own country and others face food insecurity, poverty or starvation? Robert Harrison's photographic series is influenced by Breton and Soupault's novel The Magnetic Fields, credited as the first work of literary Surrealism. The Surrealists believed that when the mind is allowed to drift into a dream-like state, it reveals truths that lie hidden beneath consciousness. Through this we find an alternative reality, one that our conscious mind seeks to suppress, manifesting as an escape from the stresses and strains of modern life, or the discovery of repressed sexual desires. Tony O'Connell's work plays on the imagery of folklore, tarot, dreams and the pagan roots of the tradition of Morris dancing. Formed spontaneously, the symbolism in these images may seem partially recognisable, though any underlying meaning may not be fully understood. O'Connell investigates the artistic process, and questions whether an artist needs necessarily to be able to fully rationalise their own thought process. In creating the same image over and over again, Patrick O'Rourke will explore the ritualisation of the act of drawing. The objects that constitute each work have a narrative unknowable to the viewer, but suggesting a personal iconography tied to memory and loss. Nicola Roscoe-Calvert's work concerns history, folklore, literature, and the interplay between the natural and urban environment. Her sculptural assemblage Ill Eye, Ill Tongue was created to mark the 400 year anniversary of the Lancashire Witch Trials, and examines religious syncretism and the percieved threat of "the other". Aesthetically the work is tied to witch bottles, apotropaic objects sometimes concealed in the hearth or threshold of a home. Skye Shadowlight, originally from Texas and now based in West Yorkshire, is a recent recipient of the Square Peg Bursary. Previous work has centred around the rebuilding of memory, familial relationships and personal symbolism. On Saturday 8th September, the Fulwood Community Gardens were host to a 'Resilience Picnic', to mark a global day of action centred around climate change. Despite the wet weather (again!!) there was a great turnout. We enjoyed wonderful food, conversation, art, poetry and singing. A truly uplifting day. See more photos as part of the Fulwood gallery. Further information about Rise for Climate can be found here. Not Just Collective welcome you to the opening of our new exhibition as part of the Independents Biennial. Where the Veil is Thin: concerning ritual, seasonality and the unknown. Drawing on traditional customs while looking towards an uncertain future, what are our modern rituals and what do they mean for us as individuals, and for society local and global? How do we create meaning through secularism or religious syncretism? Opening with performance at 2PM in St. John's Market, the exhibition will then continue until Saturday 27th October, 9AM - 5PM. Full details of participating artists and performers TBC. ​Not Just Collective would like to welcome you to our free festival, marking the beginning of our residency in the Fulwood Gardens this summer. This family-friendly event will include music, storytelling, crafts and cake. The festival will see the launch of our exhibition as part of Liverpool Independents Biennial 2018. Over the course of the summer, artists will create works that respond to the woodland, and will survive or succumb to the elements, the exhibition growing and changing with time. We aim to make the festival as accessible as possible, however visitors should bear in mind that this is a woodland, so the ground may be affected by rainfall. We do not expect overcrowding or loud noise at the festival, but we have a social story available here and at the gardens to support anyone who may find busy situations stressful. According to Phil's Soundcloud profile: "If you are looking for pitch perfect vocals, metronome drums or guitars that don't make weird noises you may be in the wrong place." Singer/songwriter heavily influenced by good old timey music ranging from delta blues, to ragtime, country and jazz. Andy has a unique style of telling and includes local folk tales, true stories, ghost stories and fairy tales in his repertoire. He draws on a lifetime of working in the library world where he promoted storytelling, literature and developed close community links. In the last 6 years he has told in a variety of settings, including – storytelling and music festivals; libraries; schools; gala days; women’s clubs; storytelling clubs; open mic nights, private house parties and recently Liverpool Cathedral. He is able to tell for all ages. It has been said he has a gentle, engaging style; a self-deprecating sense of humour and brings a warmth to all his stories. In 2007, a large number of words relating to the natural world were removed from the Oxford Junior Dictionary. In response to this, Nicola is facilitating a project entitled #byewords. As part of this project, Nicola invites visitors to make prints inspired by these 'Lost Words' and the surroundings of the garden. UCraft is a Community Interest Company. This means that we are an organisation with an aim - to bring arts and crafts to more people. We are a not for profit organisation so any money we make goes straight back into achieving this aim. We run pop up workshops around Liverpool, and soon we will be opening our purpose built arts and crafts centre, where we will be able to offer a huge range of arts and crafts tuition and groups. An arts and crafts lover who is forever creating paintings, tattoo designs, Disney ears and so much more! Currently specializing in cross stitching, creating home decor cross pieces with a humorous twist. I'm not Japanese, but very passionate about sushi! Once I went vegan I decided to turn this passion into little business. My sushi is as healthy as possible, wholesome, fresh and always made in front of the customer. Vegan, natural, cruelty-free. Tropic are constantly researching the most innovative and skin nourishing ingredients from all over the world, to create their award-winning range of skincare, body care and makeup. Natural soap handmade from the highest quality organic oils, plastic free and never tested on animals. You are very welcome to bring a picnic. Well-behaved animals (and their well-behaved humans) are free to enjoy the festival. Not Just Collective are very grateful for the support of our local Green Councillors in making this festival and residency happen.